Maybe you've listened to your friends complain about big-city traffic congestion and grinned to yourself. But accidents can still happen, even in a town like Green Cove Springs with safe drivers and little congestion. Our Green Cove Springs auto insurance agents can help you find coverage for any vehicle(s) or driving habits. They can also introduce you to benefits exclusive to Nationwide, such as the On Your Side® Claims Service and Vanishing Deductible® program. Despite the occasional inclement weather, Green Cove Springs isn't the worst city for natural disasters. And along with great neighbors and quiet neighborhoods, many families cherish the feeling of safety they've achieved for their home. Still, there is no way to prevent every home hazard and instance of property damage. 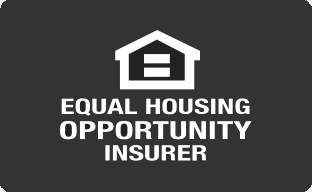 Whether you own a small starter home or you've just bought the home where you plan to enjoy your retirement, let a Green Cove Springs home insurance agent help you select the right coverage for your homeowners policy. For many local families, home insurance isn't enough by itself to protect the life they've carved out for themselves in Green Cove Springs. Life insurance is an indispensable asset for your family planning. It offers a range of financial protections for a worst-case scenario. The starter home with a young and growing family may need term life most of all, while households looking toward retirement may be just as interested as whole, universal, and variable life insurance policies. Whether you live on a major street or one of Green Cove Springss quieter courts, you can get the right coverage for your home and belongings with Nationwide. Whether you own a convenience store at the end of town, a retail store in the middle of town, or a professional contracting service, Nationwide has the commercial insurance products you need to protect your business. Even when it feels like Florida legislators aren't listening to the pressing concerns of your company—or your entire industry—know that our Green Cove Springs business insurance agents can help manage your risk and better position your company for the future.